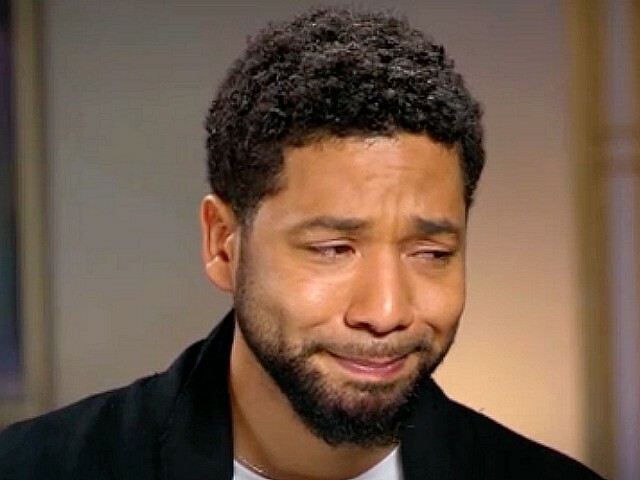 2 months ago Cornelius Rupert T.
Empire actor Jussie Smollett welled up in his first interview since his alleged attack last Month. The sit-down, conducted by ABC News’ Robin Roberts, is slated to air Thursday morning. The interview comes after the 36-year-old actor said he redacted some information from his phone before giving it to Chicago police investigating a reported assault in order to protect the privacy of contacts and people who are not relevant to the attack. Smollett’s representatives issued a statement a day after police said the heavily redacted phone records he turned over to detectives this week were insufficient for a criminal investigation. The statement is the latest in a back-and-forth between Smollett and police since he reported the attack in downtown Chicago on January 29. Police have made no arrests and said they have found no surveillance video that shows the attack. They have released video of two people in the area at the time who they said were persons of interest. Smollett’s statement said he had good reasons for turning over limited information. “Any redacted information was intended to protect the privacy of personal contacts or high-profile individuals not relevant to the attack,” his statement said. Smollett, who is black and openly gay, told police that his attackers doused him with an unknown chemical substance, shouted racial and homophobic slurs at him before and looped a thin rope tied like a noose around his neck. Smollett also told detectives that before they ran off, the attackers yelled “This is MAGA country, ” a reference to the “Make America Great Again” slogan President Donald Trump uses. Police have collected video surveillance footage from cameras in the downtown area and have also extended their search to stores in the area in the hopes of gathering evidence on who might have purchased the rope. 3 hours ago Cornelius Rupert T.
11 hours ago Cornelius Rupert T.
17 hours ago Cornelius Rupert T.
9 hours ago Cornelius Rupert T.
12 hours ago Cornelius Rupert T.